Sudden losses of ones we love can initiate the gut-wrenching reality we sometimes experience when confronting our finitude in mortality. Our existence is so fragile and susceptible to sudden termination and we know it. I have come to believe that everyone with whom I have a relationship, actually becomes part of me, and when they die, a piece of me dies with him or her. 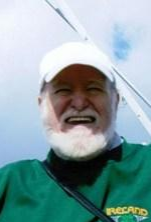 We recently lost Thomas F. Cloonan to cancer. For those who did not know Tom, he was a professor emeritus in psychology at Fordham University in New York and a student of Amedeo P. Giorgi, who was also my mentor. Additionally, Tom was the latest editor-in-chief for the Journal of Phenomenological Psychology (JPP) until recently when his health failed him. My connection to Tom was unique. Amedeo introduced me to Tom when I was a master’s student at Saybrook and in need of a committee member for my thesis. I was embarking on my first study on police deadly force training using Giorgi’s method. Tom was an adjunct faculty member at Saybrook, and Amedeo thought that he would make a good committee member for me. I reached out to Tom through email, asked him to serve on my committee, and he accepted. When Tom began reviewing my thesis work, I found that he was very gentle but powerful in his critiques and direction. Tom was always encouraging, and I always found him to be a “safe place to land” as an instructor and friend. Our friendship grew through my master’s thesis and he also served on my doctoral dissertation committee. Those are the big things, but there were little things that we shared that I will forever cherish. As I was finalizing my master’s thesis work, Tom shared with me that the study was particularly interesting and important to him. Tom’s brother, John, was a veteran of the New York City Police Department and had been for decades. Tom supervised my literature review qualifying essay to guide me toward successfully achieving doctoral candidacy at Saybrook. The essay involved the research and theories surrounding my topic of police deadly force. Finally, Tom was there to see me through my dissertation. When my dissertation was done, Tom commented on how working with me through my area of study had helped him come to understand his brother in a way he never could before. Tom mentioned to me one time that in his early college days, he had joined a Catholic pacifist’s group swearing off any kind or use of violence. Later on, he came to believe that there were times when force and violence would be necessary and could no longer be a pacifist. But he still felt strongly that violence and force should be reserved for only certain times. Perhaps Tom and his brother didn’t see eye-to-eye on some things, perhaps many things. Tom was not the type to elaborate on negative things. But Tom’s telling me these things about his new insights through working with me encouraged me to think that it might just help others in a similar way. Tom was a devout Christian and was deeply religious. Tom once shared with me that early in his life he had aspired to become a Catholic priest, but his path diverted toward psychology where he found his passion and career. Nevertheless, his interests in theology and matters of faith were a big part of his life. Tom was one with whom I could have inspiring religious discussions and exchange thoughts of faith. When he began to feel his age, he told me in the past two years that he was going to re-engage with his religious studies more fervently again. I really admired his knowledge, perspectives, and way he could share them. Perhaps for some, this is nothing but an illusory death-denial strategy to cope with finitude (Becker, 1997). But for Tom and me, it was something we shared in life, and his wisdom was a source of inner strength for me in crucial times. In 2008, I was diagnosed with cancer just months after finishing my master’s thesis. Even though Tom was not one of my instructors at the time, I was able to call him and draw support from him. Tom always replied to my emails and took my phone calls. He was a great source of comfort in a time when my own sense of existence was anything else but right-side-up. When I learned that he had died of cancer, I found again, another connection with Tom. I remember how scared I was when I was diagnosed, although my prognosis was great. But here Tom had fallen victim to cancer and was actually not going to survive it. My heart aches to think about what it was like for him. I wish I could have comforted him in the way that he had me. But in a recent conversation with Amedeo, he told me that Tom had become so weak and in such pain, that having company had become a burden to him and he preferred his solitude. While Tom was suffering his last days with cancer, I had no idea that he was sick at all. It had been a few months since we had exchanged emails. I had submitted an article to the JPP that was set to print in the next issue. I had not received the final proofs yet, so I went to the JPP website to check the author’s area to see if there were any updates. I saw the name of James Morley, another friend, listed as the editor-in-chief. I knew that Tom was ramping down his scholarly activities in his retirement, so I really assumed that this was another step in his downsizing. I wrote to Jim, asking about my submission and congratulating him on his appointment as editor. He replied, assuming I knew about Tom’s death. He said that he had taken the editorship just before Tom died. Tom died…Tom died…Tom was dead! It seemed to echo in my head as I sat at my desk reading Jim’s email, feeling a hole open up inside me. Tom was important to my growth both personally and professionally. In addition to his teaching and personal guidance, he was essential in publishing my first peer-reviewed article in the JPP (Broomé, 2011). His editorial guidance and direction taught and encouraged me to write for others. Prior to my first article, I only wrote to satisfy academic requirements. Tom helped me to find and project my voice. Naturally, Tom was more influential for me than I was for him. So many college professors might actually forget how their little acts of kindness, encouragement, and honest engagement change the lives of those they teach. I am sure that Tom touched many lives. I really don’t know that my words here can even capture the importance of his contributions to phenomenological psychology. But I believe my experience is an exemplar of what others likely had with Tom too. At times like this, the hard problems of existence surface. When I was diagnosed with cancer, Amedeo told me in an email, “Until we are dealing with our existential issues, we never really understand how off psychology is in its subject matter.” It is not about information processing or behavior or even being crazy. Is it about being the Good Knight of Faith and taking the qualitative leap to trust in One we cannot see (Kierkegaard, 1980)? Is it death denial? Eat, drink and be merry, for tomorrow we die? Is it about living life on our own terms? For me, I guess it is about understanding. One great thing that Tom did for me was understand. What a gift that will tarry with me until I too die. Becker, E. (1997). The denial of death. New York, NY: Free Press. Broomé, R. E. (2011). An empathetic psychological perspective of police deadly force training. Journal of Phenomenological Psychology, 42(2), 137-156. Kierkegaard, S. (1980). The sickness unto death: A Christian psychological exposition for upbuilding and awakening. H. V. Hong & E. H. Hong (Trans.). Princeton, NJ: Princeton University.